Tonight I was asked to present on Google Plus; but, I wasn't really prepared to give the spiel on a moment's notice. 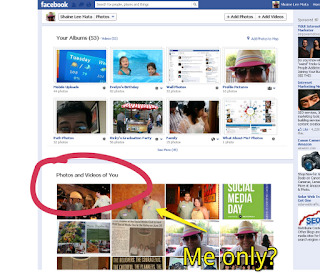 Although I personally love Google Plus, I recognize that it is a separate environment from Facebook. So, what I did present was haphazard and half-assed, mainly about Google Events. I'm in love with Google Events. Given the recent clarifications from Vic Gondutra, the guy leading the Google Plus project, it's not their intent to be a social network the way that Facebook is. In reality, it plays out that way. I use Google products to get work done. As a result, my socializing with Google is not so familiar. 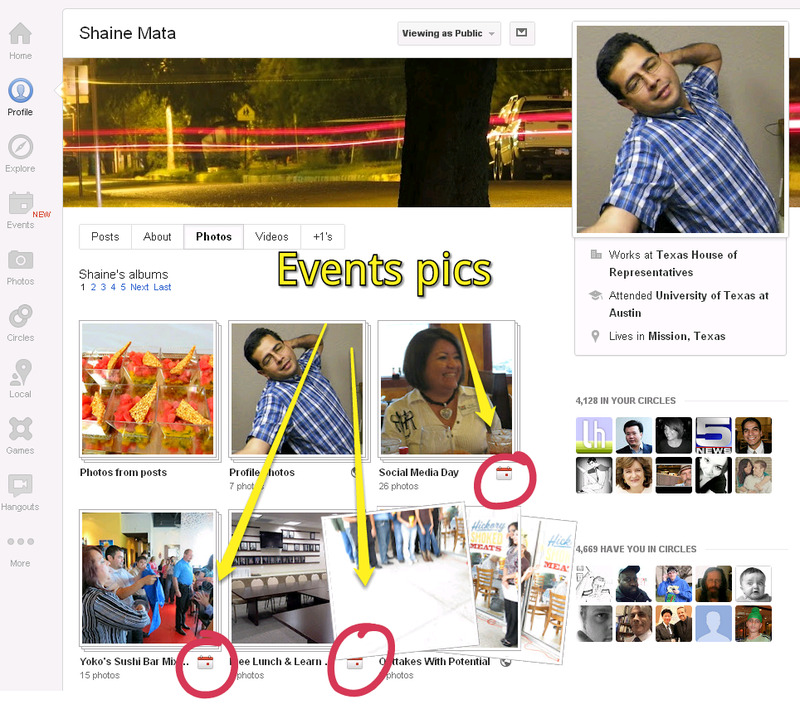 Going back to Google Plus Events, there are benefits that Facebook events don't offer. The first is the ease with which you can post photos to Google Plus Events. You set your device to Party Mode, then click away. Boom. They're up. Facebook makes that process more difficult. It is more deliberate. 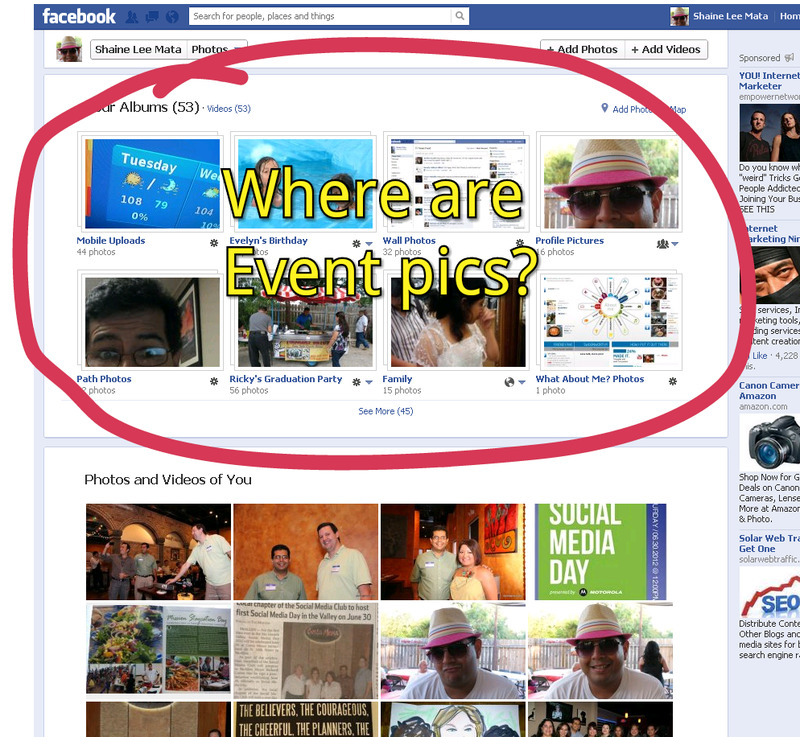 But, there is another problem with Facebook events. When you post a photo to an event, it doesn't show on your stream nor in your albums. Check this out. 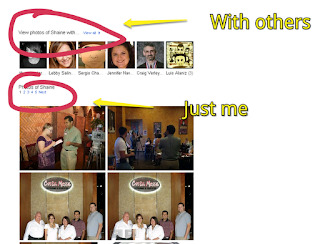 Google Plus ads pics from your events into your photo albums. 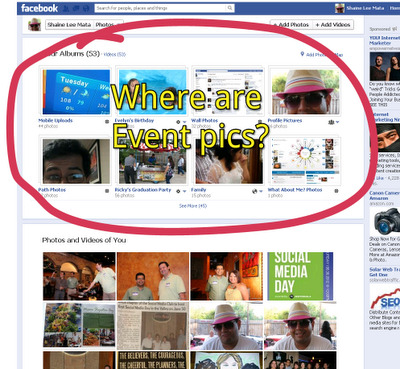 In fact, FB requires you to go to the event to find the pics. 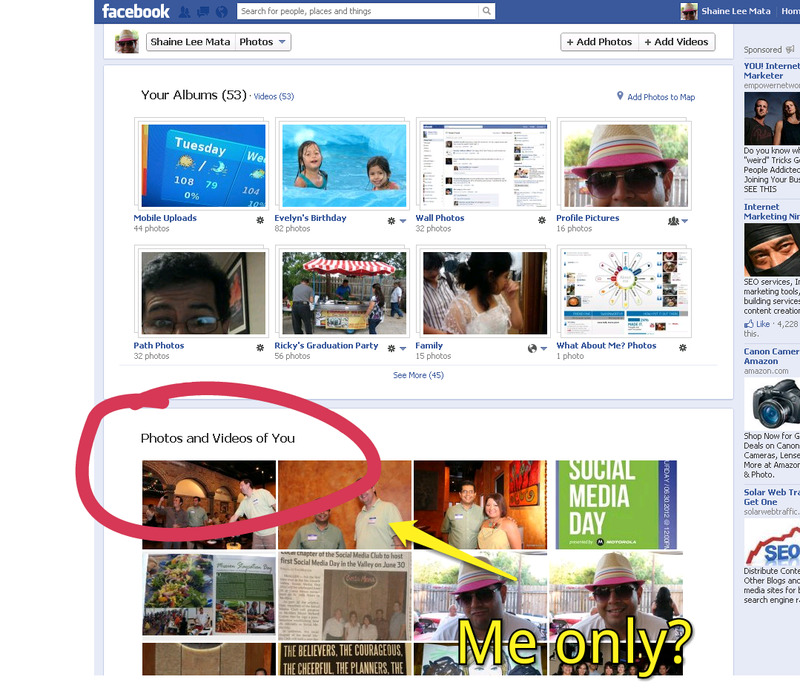 Compared to Google Plus albums. And lets' not forget about search results. If your event is public, it will show up all over the web. That's the benefit of being Google, you can give higher weight to your own content. Of course, this leads me to a bigger concept that if you are looking for engagement, you may want to go with Facebook, that's where many people are. However, if you want to be found when your customer is getting ready to buy, then you really should consider Google Plus. Nobody Facebooks "coffee shops"; they Google "coffee shops". So, if engagement is your thing, go with Facebook. If making money is your thing, then you better start posting to Google Plus. It doesn't matter if there is a smaller audience and less engagement. When it really matters, in the search results, that's where your payoff is. Facebook can create awareness about your brand; but, Google will be there to remind your customer that you exist when the day comes that they decide to spend their money. Going back to Google Plus Events, if you've spent a crapload of time and/or money on an event, you want the world to find it, not just the people who attended. Who do you think will have the advantage in search?